Foster students' passion for reading by starting in their comfort zone, surrounding them with books, reading books aloud, and modeling your own love of reading. It is through stories that we define our world and discover our place in it. Stories help us understand the world we live in, teach us about where we came from, and help us see possible futures. Stories are our education and our escape. They lull us to sleep and inspire us to action! Indeed, it is through the stories we tell each other that we literally create the world as a reflection of who we are. I begin with this discussion of stories because it is important to understand that, whether they know it or not, every child is already halfway to being a book-lover. Every child already loves stories. Whether it's through movies, television, or video games, every child already has a preferred method of story intake. This is fine! Movies, television, and video games are not our enemies as educators. They are simply alternative methods of storytelling. What we have to do is encourage each child to appreciate storytelling through the written word at least as much as they appreciate storytelling through visual mediums. Movies and television are wonderful, and I know because I've spent a little bit of my life making stories through those mediums! But it is difficult, if not impossible, to reach one's full potential without being able to read. To be literate is to be on the pathway to becoming a lifelong learner, and literacy is essential if we're to have educated individuals and a truly free society. How Do We Inspire Our Kids to Love Reading? 1. Meet students in their comfort zone. Talk to them about their favorite movies, TV shows, or video games. Find books that expand on those universes and characters that already have kids captivated. 2. 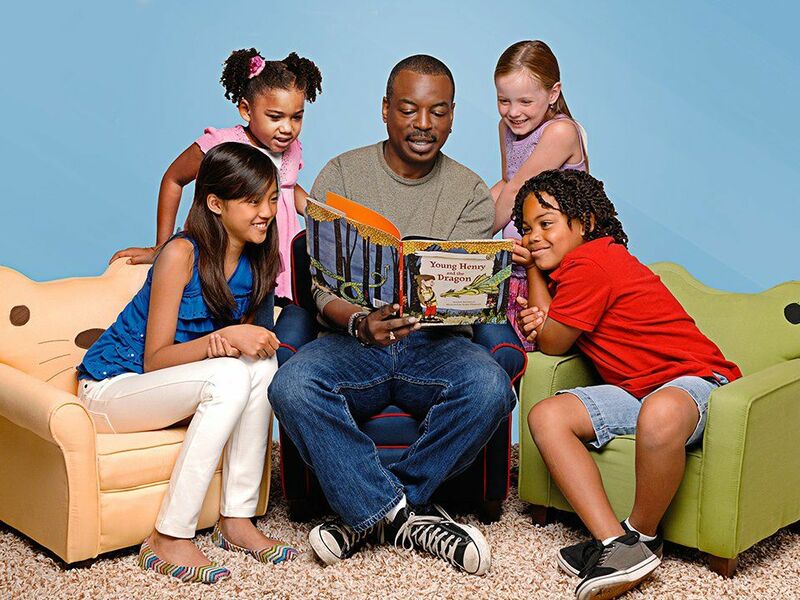 Surround kids with good books. When we give kids access to a rich library, we provide hundreds of opportunities every day for their eye to fall on an intriguing title, or for them to see another student choose a book and become engrossed in it. When we surround kids with books, we show them that reading is something that permeates life, something to do at any moment of the day. When we give kids a library and let them choose their own reading material, we provide opportunities for learning that are deeper, more pervasive, more personal, and most importantly, student driven. The best thing that you can do to foster a child's love of reading is to read with him or her. Reading aloud is a low-pressure and foolproof way to engage the imagination through the written word. Once you have them well and truly hooked, leave copies of the book lying around the classroom and give them free reading time. How many students do you imagine will choose to pick up the book and finish it on their own? 4. Show students how much you love reading. In my childhood, it was my mother, an avid reader, who was my first introduction to the joy of reading, but teachers are no less influential in the lives of their students. When I look back to my school days, I remember a few teachers whose passion for a subject inspired a similar passion in me. When teachers find ways to show students how important reading is in their own lives, it opens the door for reading to be important in their students' lives. A love of stories is hardwired into every human being, and we have more media for receiving these stories than we've ever had in the course of human history. In video games, we get to guide a character through a story. In movies and television, we can see an entire lifetime play out in front of us in a few short hours. And in books, we can read about the complex emotions and motivations that wrestle beneath the surface of a stoic façade. Each medium has its unique appeal and limitations. When used together, we can inculcate in our students not only a love for storytelling in all of its forms, but give them a sense of how we as human beings have storytelling in our DNA.